Using old-fashioned shoe polish is the best way to care for Hugo Boss leather shoes. The Hugo Boss brand is known for its sleek, modern fashions with a luxurious appeal. Made of premium leathers such as calf leather and cowhide, Hugo Boss shoes reflect the high quality and luxury the brand is known for. Regular care of these shoes is important not only for appearance, but also for longevity, particularly considering the cost of the footwear. With consistent care and cleaning, you will protect your shoes and extend their life, allowing you to enjoy them for a longer period of time. Spread an old towel or newspapers on top of your work surface. Wipe any dirt or dust off your shoes with a damp rag. Do not use excess water for this step. Gently wipe the shoes off with a dry rag. 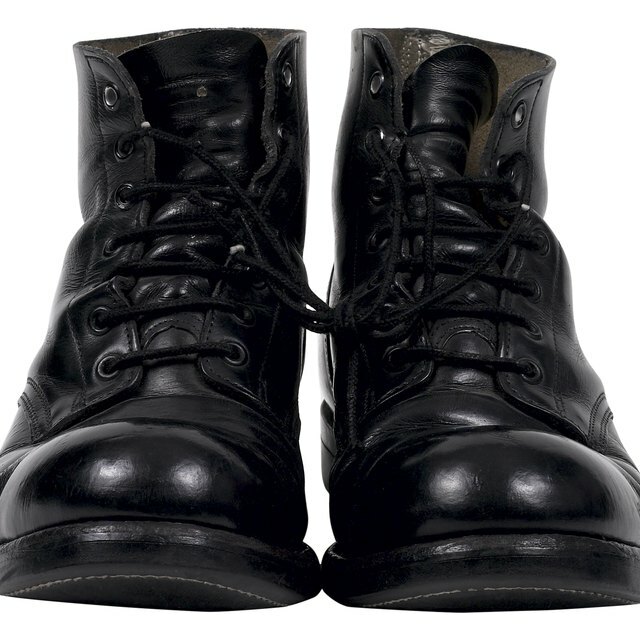 Rub your shoes with a horsehair shine brush to remove any dirt not removed by the rags. 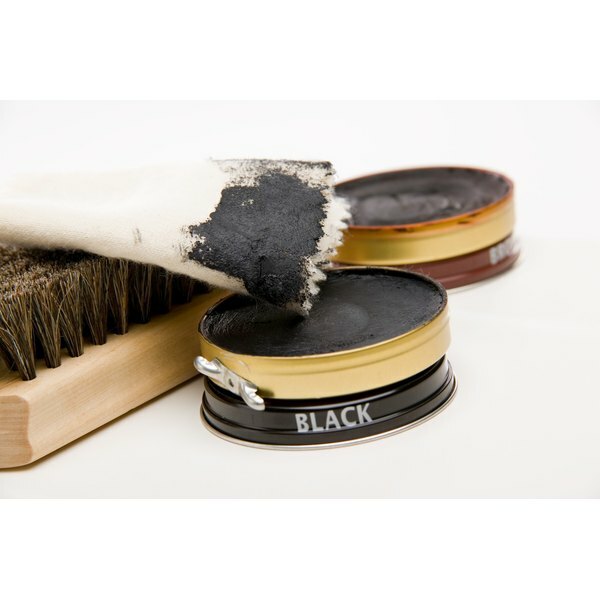 Apply a large amount of shoe polish to your shoes using a shoe polish brush. It is helpful to stick your hand down inside the shoe to support the toe box when applying polish to the front part of the shoe. The polish color should match the color of the leather as much as possible. Ensure the polish is evenly applied and let it dry for approximately 15 minutes. Brush the shoe with the horsehair shine brush to brush away the polish. Brush until only a light film is left on the shoe. Dip a cotton pad into some water and squeeze dry until the pad is just damp. Dab the pad into shoe polish. Apply the polish to the toe and heel of the shoe with a circular motion. Allow it to dry and brush away the excess. Repeat the process until you are happy with the amount of shine on the shoe. Spray the shoes with a waterproofing spray and allow it to completely dry before wearing. Use shoe trees when not wearing the shoes to keep them filled out and encourage the leather to keep its form. Cedar shoe trees will help absorb moisture and odors.